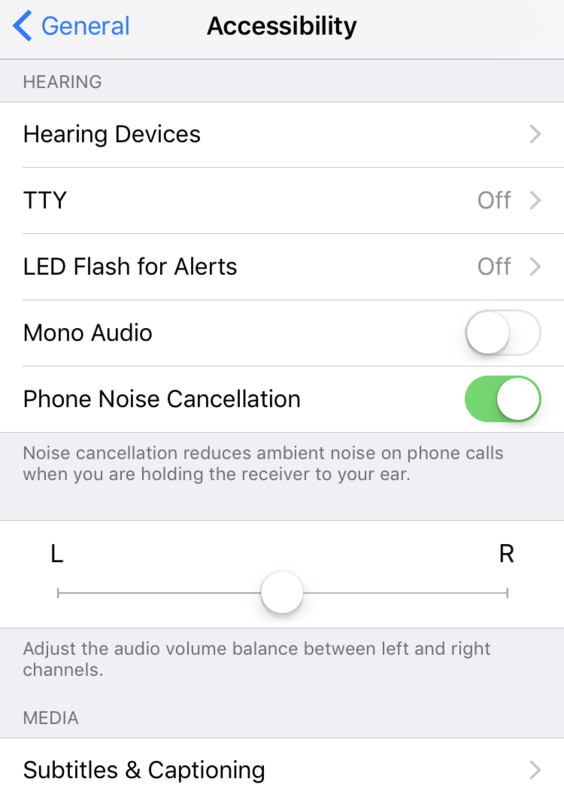 / How do you Adjust iPhone Sound Balance? I’ll skip the usual warnings about not listening to music too loud because it could damage your hearing, because I suspect you’re well aware of that! 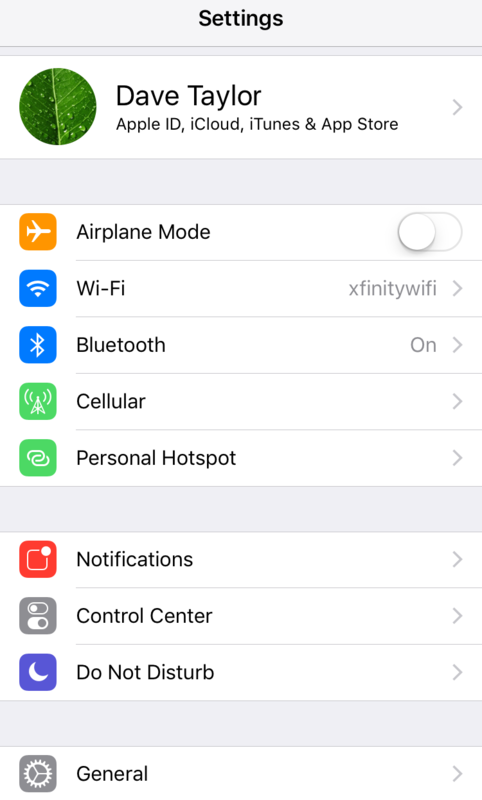 Instead, let me show you how to adjust the left/right balance on your iPhone or iPad (any iOS device) because, well, because it’s quite hidden in the iOS 10 interface. What’s odd is that on a Mac system, it’s actually easy to find the audio balance and it’s in a quite logical spot: System Preferences > Sound. But on your little Apple iPhone? Not so much. You can see there really are no device-specific settings at all. In fact, if you didn’t know what a JBL E24BT is, you wouldn’t even be able to find this screen! 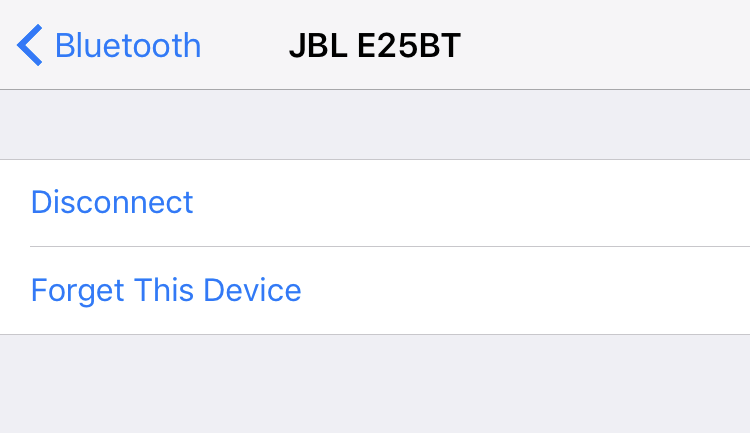 The correct path to find the balance controls on audio output on an iOS device like your iPhone or iPad is in Accessibility. Start your journey towards the control by going into Settings. Look down at the bottom of the screen: You want to tap on “General” to proceed. 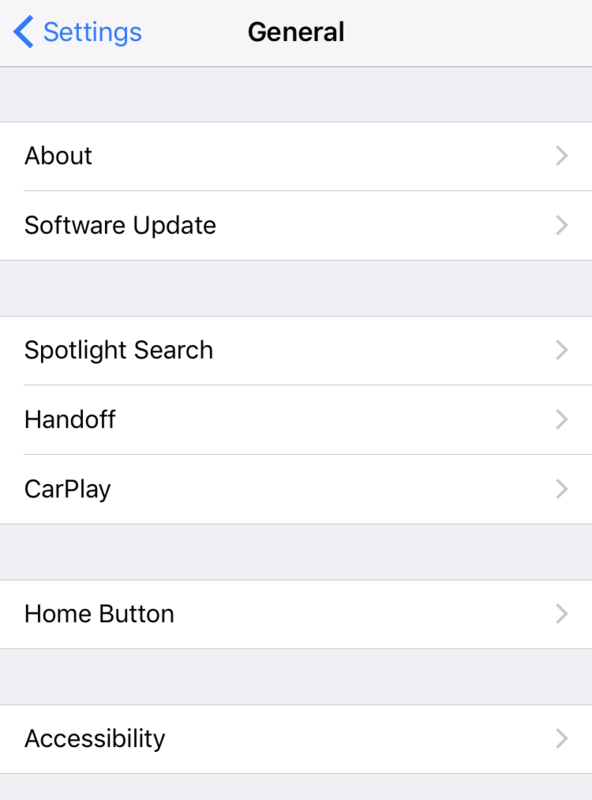 Lots to tweak and change if you haven’t gone into this area before, including CarPlay and Handoff, both super useful if you use your iPhone or iPad everywhere you go. But let’s stay focused, eh? At the bottom of the list is what you seek: “Accessibility“. While it’s generally where settings for people with hearing, vision, and other impairments find some of the many setting changes that can make the device much easier to work with, it’s also where audio balance can be found! You do have to swipe down a ways on the screen to find the entries shown above. As you can see, however, it makes tweaking the audio balance to compensate for your hearing loss easy. Hope that helps you tweak and adjust your iPhone to work great with your partial hearing loss! Thanks for the tip, it helped me find the settings on my Samsung J1 : Settings – Accessibility – Hearing. Not under Sounds where I expected it would be.